This is the story of a young scholar named Sherman Emery Lee (1918-2008). Why are we now so interested in young Dr. Lee? Because, after he completed his Navy service, Sherman Lee became a Monuments Man. And, right now, we are more aware of Monuments Men than we ever were before. 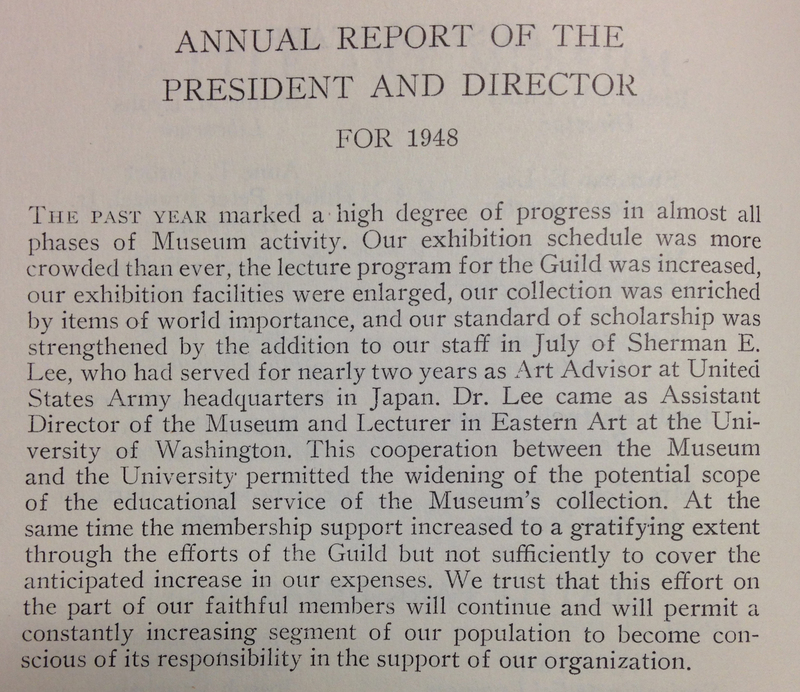 In advance of Japan’s capitulation in August, 1945, Lee’s mentor from the Cleveland Museum of Art, Howard Hollis, wrote to a friend on the Roberts Commission (the American body responsible for recommending policy regarding art, monuments, and archives during WWII, leading to the establishment of the Monuments, Fine Arts, and Archives Section), recommending his young colleague for a role as a Monuments Man in Asia, if the section were to expand into the Pacific theatre. Hollis himself soon joined as Chief that newly established division, the Arts and Monuments Division (A&M) of the Civil Information and Education Section (CIE), for the Supreme Commander for the Allied Powers in Japan (SCAP). By 1946, his Navy duty complete, Lee joined his mentor in the A&M office in Tokyo. Initially an Advisor on Collections, Lee’s work as a Monuments Man after leaving the Navy reflects the post-war identity of the A&M section, as a civilian force. Unlike the story told in the George Clooney movie, The Monuments Men (2014), Lee’s work unfolded over the course of several years, and never involved him stepping on a land mine. Believing that art was both useful and important to human identity, Lee and his fellow post-war Monuments Men were charged with protecting, cataloguing, recovering, and repairing art and monuments, including those of their former enemies. Initial discussions had Lee traveling to China, a country of his expertise, but instead he was sent to Japan. There, his reports tell of power and lighting issues hindering the repair of a pagoda, “fire hazard” threatening historic murals, and a long list of tedious but necessary tasks integral to the protection and saving of Japan’s cultural heritage. The process was expected to last five to ten years. To accomplish his mission, Lee and his colleagues worked closely with both the Japanese imperial family and government officers to help identify National Treasures, and protect them in future; they helped the Japanese plan and establish a new national archive; they helped collectors and private businesses recover objects that disappeared during wartime (including historic swords that were looted by Allied troops); they helped the National Museum set new “best practices,” and brought loan exhibitions to Japan from museums in the United States and Europe, for the people of Japan to enjoy; and they even helped Japan establish a system of National Parks, similar to the one in the United States. By the time he left Japan in 1948, Sherman Lee was Acting Chief of the Arts and Monuments Division. While he never published his experiences as a Monuments Man (as did some others, including James Rorimer, upon whom Matt Damon’s character is loosely based in the movie), Sherman Lee did write about his experiences as they happened—in the form of letters to his superiors as well as to his colleagues. George Stout (the basis for George Clooney’s own character in the movie), the art conservator who, after cessation of hostilities in Europe, shifted his Monuments work from Europe to Asia, was the first Chief of the A&M in Japan, before the arrival of Hollis. After his departure in 1946, he remained in touch with Lee; the two even corresponded into their later years, after Stout had retired as director of the Isabella Stewart Gardner Museum and Lee was still serving as the director of the Cleveland Museum of Art. In fact a native of Seattle (he was born here in 1918), Lee went to work for SAM even before his arrival, on the Fourth of July, 1948. Dr. Fuller sent Lee a Leica camera, to “make his trip to India as rewarding as possible” (Fuller, A Gift to the City, p. 26) before flying to Seattle to begin his work here. Lee’s experience and contacts initiated a new era of ambitious exhibitions and collecting for SAM. The National Museum of Japan, with whom Sherman Lee had worked so closely during his time as a Monuments Man, willingly lent National Treasures to the Seattle Art Museum’s Survey of the Art of Japan (9 November – 4 December 1949), and other National Treasures were exported and acquired by SAM during Lee’s time in Seattle. One of these Treasures was the renowned Poem Scroll with Deer (or, more popularly, the Deer Scroll), the largest extant portion of which is in SAM’s collection. But Lee was known as “an outstanding scholar of art history both in the Oriental and Occidental fields” (Dr. Richard E. Fuller, SAM Annual Report, 1947), which he proved soon after his arrival in Seattle. Lee was instrumental in convincing the trustees of the Samuel H. Kress Foundation to make a significant gift of painting and sculpture to SAM. The results of his negotiations were no less than the establishment of a European art collection in a museum that had formerly displayed framed facsimiles (high quality color photographs) of the Mona Lisa and other paintings in our galleries. He also made his own gifts of art to the collection, as well, unsurprisingly comprising both “Oriental and Occidental” objects. Educational programming also increased and diversified during Sherman Lee’s time as Assistant —and later Associate— Director. He established a monthly Thursday evening lecture series for men (what not-appropriate-for-the-ladies topics might have been covered in these sessions, I wonder? 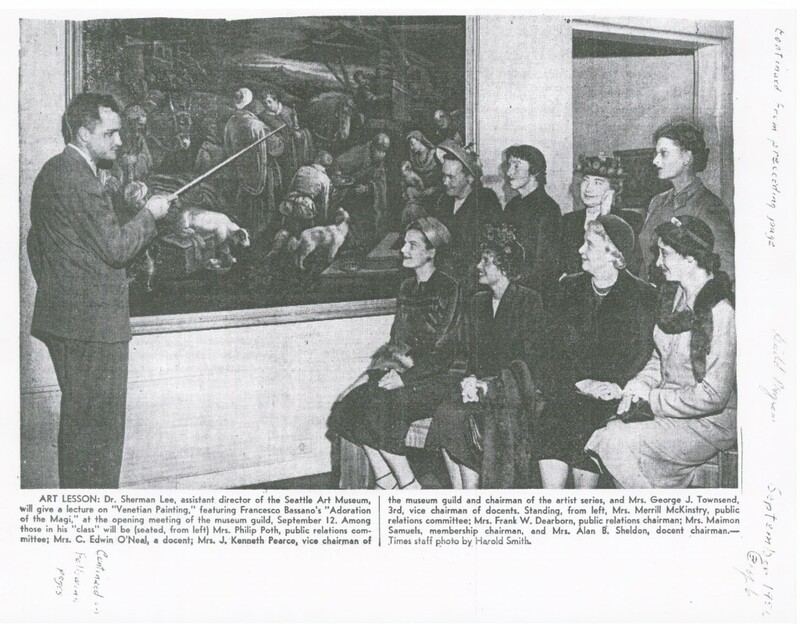 ), and trained the female corps of volunteer educators known as docents. In 1949 he gave a public lecture titled, “What Use Is Art, Anyhow?” His answer is not recorded in the SAM archives, but we know from his life and work that he found art greatly useful. He wrote the museum’s first handbook of the collection, published in 1951. He wrote scholarly articles on highlights of the museum’s Chinese, Japanese and South Asian collections, as well as on objects in Japanese public and private collections. He even participated in dialogues within his specialized field, writing a mixed review of a catalogue by a young scholar at the Los Angeles County Museum, Henry Trubner (who would later go on to a long career as SAM’s Curator of Asian Art and Chief Curator). Lee also had an influential presence in the local academic community, his position being a joint appointment between the museum and the University of Washington, where he taught Asian art history. After four productive years in Seattle, Lee was lured away by the Cleveland Museum of Art, where he became Curator of Oriental Art (1952-58; he didn’t have to volunteer this time! ), and ultimately Director (1958-83). Many years later, he returned to SAM when the downtown museum building first opened, in 1991. True to the lauded “Oriental and Occidental” perspective once celebrated by Dr. Fuller, this renowned scholar of Asian art declared the European Neoclassical art gallery his favorite in the new SAM. SAM’s Monuments Man left a lasting impact on the museum—through his scholarship, connoisseurship and leadership, he proved the great usefulness of art in uplifting, educating and uniting communities, including Seattle. Highlights of acquisitions made by Sherman Lee are currently featured in A Fuller View of China, Japan and Korea at the Asian Art Museum. 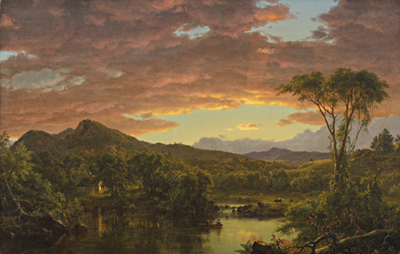 Other works acquired by Lee are on view throughout the Seattle Art Museum and Asian Art Museum galleries. Sometimes, collecting small has a big result. In 1919, following his service in WWI, Richard E. Fuller traveled to “the Orient” with his parents, sister, and brother. Their trip took them from Vancouver, BC, to China, Japan, Korea, Indonesia, Burma, and India. However, the latter part of the trip nearly did not happen, as Fuller fell ill with appendicitis while in Nikko, Japan. His brother, Dr. Duncan Fuller, ultimately performed emergency surgery, with their father, Dr. Eugene Fuller, assisting. While Richard Fuller convalesced, his family explored the Nikko area, and began collecting small figures known as netsukes. 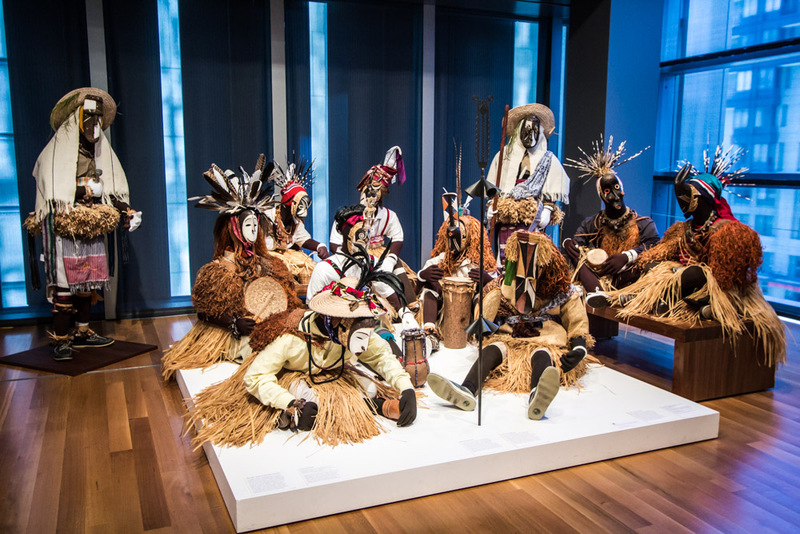 Years later, when Richard Fuller and his mother Margaret founded the Seattle Art Museum, they donated this large group of small objects to the museum’s collection. These small figures remain part of the museum’s holdings to this day, a collection for which SAM is famous around the world. The Duncan MacTavish Fuller Memorial Collection of netsukes is named in memory of Richard’s brother, and in honor of the unexpected turn of events in 1919 Japan. 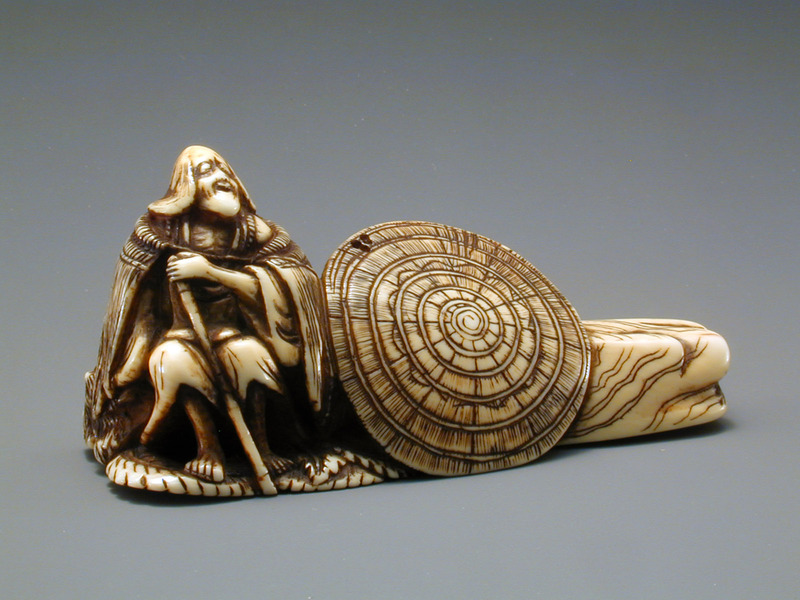 Poetess Ono-no-komachi in her old age, sitting on a log, 18th-19th century, Japanese, ivory, 1 1/2 x 2 7/8 x 7/8 in., Duncan MacTavish Fuller Memorial Collection, 33.352. Currently on view in the Seattle Asian Art Museum, Volunteer Park. The History in Art History: How did this painting get to Seattle? For me, a work of art lives on in part by its association with people, places, and times past and present. When we see objects in museums, in isolation, how do we understand them as expressions of a maker’s personal vision and circumstances and of viewers’ expectations in the artist’s own time and over the course of generations? Each object of historical American art that I work with has endured because someone—a collector, a critic, an artist’s descendant, maybe—has been its champion, often when few others were. Historical American art has for so much of our past been overshadowed by the taste in this country for European art, which signaled for so many the ideal of artistic achievement and good taste.